Trees and other vegetation in rural areas may also be protected by council regulations. Areas of remnant native vegetation on your property are a valuable resource that can increase productivity and improve the value of your land, as well as maintaining a healthy environment. Across a rural residential property or farm, aim for at least 30 percent cover of native vegetation to improve productivity and maintain ecosystems. Together with your neighbours' bush, you may be able to create a corridor of vegetation for native animals, including threatened species. Any patch of native vegetation can be valuable. Native trees, shrubs and grasses are deep-rooted perennials that help keep saline groundwater well below the surface, protect against soil erosion, keep weeds at bay, and provide a home for native animals. increasing pollination of crops by native insects and birds. prevent pollution of farm dams and creeks by nutrient run-off. Native animals on your property are protected by law. This means it is illegal to trap, kill or harm them unless you are licensed to do so. Many native animals have a positive impact on the productivity of your land by controlling pests. Native insects and birds that fly to crops from nearby bushland can substantially increase pollination. The best way to attract native animals is to retain and replant a variety of native vegetation to provide shelter and food such as nectar and seeds year-round. placing large rocks or logs at one end of a dam to provide shelter for frogs. Do not feed wildlife. Feeding creates dependence, attracts higher than usual population numbers which can damage your property and the environment, and may attract unwanted predators. If some native animals become a problem, seek advice from the relevant local authorities about how best to manage the situation. What laws apply to native vegetation and animals? Remnant native vegetation is protected by the Native Vegetation Act 2003. The legislation prevents broadscale clearing to protect the health of our land, rivers and wildlife. The rules on clearing vary depending on whether the vegetation is considered remnant, protected regrowth or non-protected regrowth. Landowners are permitted to clear small areas of vegetation for routine agricultural management activities. Threatened species of native plants and animals are protected by the National Parks and Wildlife Act 1974 and the Threatened Species Conservation Act 1995. Damaging or harming listed native plants, animals and ecological communities, even on private property, is illegal. 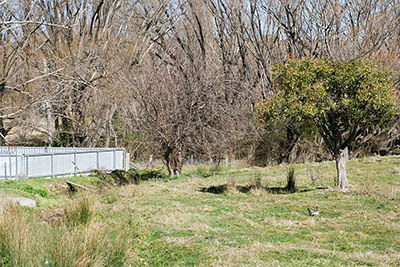 Trees and other vegetation in rural areas may also by protected by council regulations. Many councils have tree preservation orders which make it an offence to remove, damage or prune trees without a permit. Landowners should seek advice from their local council and catchment management authority to ensure you understand and follow the rules regarding clearing remnant native vegetation, tree removal and protected native plants and animals. Protect and rehabilitate existing areas of remnant native vegetation on your land. Restore native vegetation by planting deep-rooted perennial grasses, shrubs and trees. Be informed - take a course to help you identify native plants and animals. Understand the rules - lack of knowledge or awareness of the laws about remnant native vegetation and protected species is not considered a reasonable excuse for illegal clearing.